I'm back tonight with photos of our newly finished basement! This was by far the biggest project we tackled this spring/early summer, with the help of T&E Construction. I can't say enough about the awesome job they did for us. We've really enjoyed hanging out down here this summer. I'll try to source as much as I can under each picture. Hope you enjoy the pics! 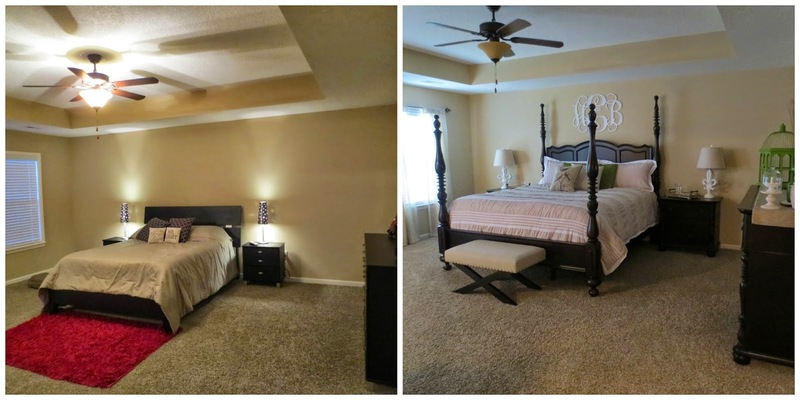 Over the past few months we've been slowly updating our master bedroom. I fell in love with this furniture back in November, and we finally upgraded to a king bed. It's still a work in progress, but I feel like it's a big transformation from where we were.Eventually I'll add a couple of comfy chairs or even a small loveseat to the sitting area. Be warned, there are lots of pictures. I'll source everything at the end.